Crimson Services LLC takes the headache out of Office Cleaning in White Hall, Virginia and surrounding towns. When you schedule your regular and specialty workplace cleanings with Crimson Services LLC, you can rest assured that the cleaning will be done on schedule and to your expectations. 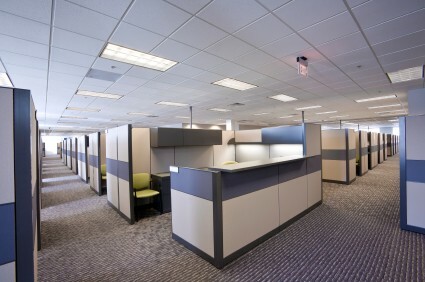 Impress the owners, executives and clients of your company with a consistently clean White Hall office environment. Lead by our competent crew supervisors, Crimson Services LLC office cleaners deliver impeccable White Hall office cleaning you can count on. Finding a commercial cleaning company that will consistently show up and clean your office in White Hall is a challenge. We can help make it simple! Crimson Services LLC has been a preferred Office Cleaner in White Hall since 2001 and we'd love to keep your office looking fresh and clean too! Call today for a free office cleaning estimate. We'll devise a cleaning schedule that will keep your office looking great, while working with you to keep your costs down. 5★★★★★ - "Wow, after my renters moved out after 5 years I thought the house was a disaster. Bobby and his crew came in and within a few hours of work they performed a miracle. No matter what, Crimson Services will be my go to phone call for my cleaning needs. Thanks Bobby." 5★★★★★ - "Incredible company, and the attention to detail is amazing. If you need a move out cleaning this is the company for you." 5★★★★★ - "Fantastic business with professional service! Highly recommended if you are looking for a professional cleaning service at a very affordable price. The members of Crimson Services LLC took the time to thoroughly clean my former residency from top to bottom, leaving it cleaner than when I first moved into the home! I would highly recommend this business to anyone who is interested in a thorough, professional, and methodical cleaning of their residence or commercial facility." 5★★★★★ - "After dealing with several low price "cleaning" services from Facebook groups and Craigslist, we decided to go with a professional company. I will say we were very impressed, not only by the work but the legitimacy of concern they had about our cleaning issues. I will recommend Crimson Services for any type of cleaning to anyone. No longer will we waste our time looking for low bid trunk slammers through Facebook or Craigslist that do a low bid job. Luckily we have found our cleaning company. Thank you Crimson Services!" 5★★★★★ - "Very professional and they take great pride in their work. My home office has never looked better"
5★★★★★ - "Awesome company and very professional. Highly recommend them"
5★★★★★ - "I have had a small office for over 20 years now and after dealing with poor cleaning companies for years, I made up my mind I was no longer going to outsource the cleaning. Then I found Crimson Services and have never been happier. Bobby listened to our needs and has gone above and beyond keeping our office looking good and clean. Thank you so much Crimson Services!!!" 5★★★★★ - "I had Crimson Services clean my house before putting it on the market. I was so impressed with the service I received. Bobby was excellent to work with, his crew showed up on time and did a thorough cleaning of my home. They took their time and made sure everything was cleaned properly. I would recommend Crimson Services to all of my friends and family." 5★★★★★ - "Top Notch cleaning company!!! I highly recommend Crimson Services for anyone that needs a deep cleaning move out or office cleaning." 5★★★★★ - "Very professional and very detail oriented. Bobby the owner was so great to work with and met all our needs during a very stressful time for our family. We needed a move out cleaning and when the original company we hired canceled on us last minute, Crimson Services was there. Not only did they do an amazing job cleaning, they made us feel like family. Crimson Services is definitely not your average cleaning company, they go above and beyond to meet your needs. I highly recommend them to anyone who needs any type of cleaning."